Real Madrid manager Zinedine Zidane has fanned the flames of speculation linking his side with a move for Eden Hazard after piling praise on the Chelsea winger, as well as giving updates on Alvaro Morata and Jese Rodriguez. Zidane spoke to the media after Los Blancos defeated Chelsea 3-2 in a pre-season friendly on Saturday evening, and he spoke highly of Hazard following his 15-minute brace for the Blues. "There are rumours about tons of players potentially linked with this club. He is a very, very good player. Obviously all clubs want the best players, but he is a Chelsea player," Zidane said. Speculation linking Hazard with a move to the Santiago Bernabeu has simmered significantly in recent weeks, particularly since Alvaro Morata made the move back to Real from Juventus last month. FT: Chelsea 2-3 Real Madrid. Nightmare 1st half, Hazard double makes it almost respectable. Long, long way to go. Several signings required. 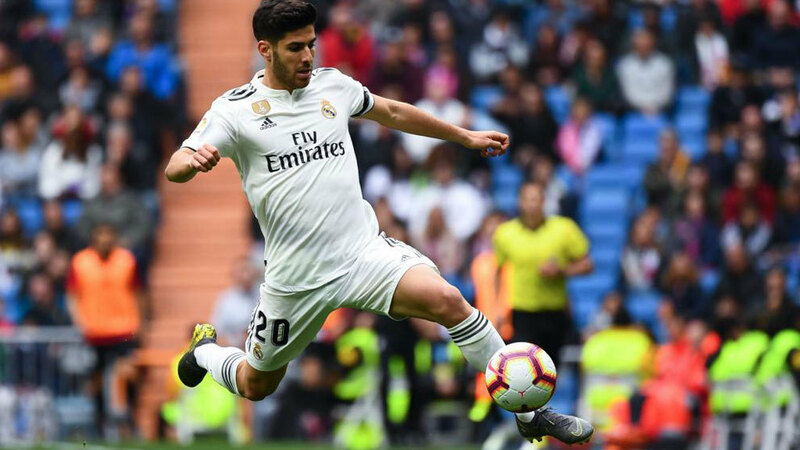 The Blues have also been associated with a move for Morata in a bid to improve their attacking options, but Zidane was eager to reinforce the notion he'll be staying put this season. Los Merengues triggered the striker's €30 million (£25.3 million) buyback clause to re-sign him from Juve in June, and Zidane reiterated he's at the club to stay, per ESPN FC's Jeff Carlisle: "Morata is a Real Madrid player, and we're delighted to have him back, back to his original home, and he's going to remain a Real Madrid player." There was a feeling Real might have staged a reunion with Morata only to sell the attacker on for a profit, but with Cristiano Ronaldo set to miss the start of the 2016-17 season through injury, the Spaniard seems set to stay. Real already have several fringe figures battling to replace starting forwards Ronaldo and Gareth Bale, with the likes of James Rodriguez, Isco and Jese all on the edges of the starting XI. Zidane also offered an update on the 23-year-old situation, per Carlisle's report, and confirmed the winger is in negotiations with PSG: "Yes, [Jese] has been speaking to PSG, but there's nothing official yet, so the idea was not to risk him." The Ligue 1 champions could be ready to offer Jese the first-team minutes he has craved at the Bernabeu in recent years, although Real have been reluctant to let their young star leave the club.